1. You know that doctor was a complete fraud, and the whole thing has been completely discredited. 2. If you really expect me to have an intelligent conversation with you, you had better get straight with the facts. There’s a really good study refuting that. 3. You know all those desperate, emotional autism moms are just looking for something to blame for their kids’ autism. 4. OMG, you’re one of those freaking crazy antivaxxers! Stay away from my kids! The official position of our government agencies charged with the health, safety, and general well-being of our children supports the crazy mom narrative. In the face of that, I haven’t taken much of a public stand one way or the other. I try not to be judgmental about other people’s parenting decisions, even if I think they’re sitting directly in front of an oncoming train. In private, however, I’m pretty confident that my son’s vaccinations contributed to his autism. In fact, five full years after his MMR, his immune system still thought he was fighting an acute measles infection. Oh snap! Guess that’s not so private anymore. I’ve met a couple of moms who told me stories of their kids’ being hospitalized with weird fevers (very high temps accompanied by ear-splitting shrieking) and seizures right after the MMR. But they were assured by every nurse and doctor they questioned that it was mere coincidence or teething. When other moms took the same story to Congressional hearings on vaccine safety . . . nothing happened. CDC officials showed up to say there was nothing wrong. No connection. You want to know what that is, what that right there is really called? 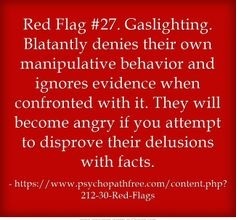 Gaslighting. 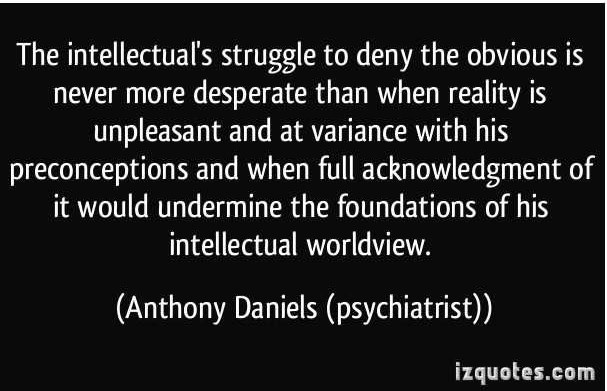 Systemic, institutional denial of a person’s perception or experience. From Wikipedia: Gaslighting or gas-lighting is a form of mental abuse in which false information is presented with the intent of making victims doubt their own memory, perception, and sanity. Instances may range simply from the denial by an abuser that previous abusive incidents ever occurred, up to the staging of bizarre events by the abuser with the intention of disorienting the victim. Have you ever had a doctor and nurse gang up on you to convince you to give your child a flu shot and make you feel a tiny bit nuts for questioning them? Had a practitioner roll her eyes at you? Did you ever ask to see your child’s medical record and discover that your call to the office — about the fever that spiked 24 hours later accompanied by explosive diarrhea and an enormous welt on the injection site — was merely noted as “Concerned mom. Baby fine”? I had an emergency room doctor call our pediatrician and leave a message that they had this crazy mom there who had refused to vaccinate her kids and were we, in fact, a part of her practice? Never mind the fact that my son was in my arms seizing and the doctors kept WALKING AWAY so they could deny ever seeing a seizure and they just sent us home. Sorry, still scarred by that one. But here we are with a new and interesting development: Namely, we’re not crazy. A whistleblower has stepped forward and told us that the CDC willfully manipulated data to bury any association between the MMR and autism. Worse, they knew the risk of African-American boys getting the MMR before age 36 months increased by 340%. THEY KNEW. But instead of shifting the vaccine schedule to give the MMR well after the 36-month mark and taking the path of prudence, or even investigating the correlation, they LIED and they called us CRAZY. At some point, CDC leadership decided that preserving the program was more important than protecting the health and well-being of our children. For a long time I’ve thought it a massive cover-up of catastrophic unintended consequences. Money, funding, reputations, careers were on the line, so people made a series of incredibly stupid and destructive choices. But now, I see it for what it is. Abuse. Abuse of power, abuse of trust, abuse of public funds, abuse of public trust, abuse of professional relationships, abuse of science, abuse of integrity, abuse of faith, abuse of responsibility. Someone thought it was better (easier? cheaper?) to manipulate data to lose any correlation and then paint the questioning parents with a broad brush of pure crazy than it was to be a responsible grown-up. And do you know what that’s going to cost them? It should cost them everything. Every. Damn. Thing. Because the price we’ve already paid defies calculation. How can you put a total on the kids who have been damaged, the potential that has been squandered, the financial burden the families and the states are going to have to bear to house and educate these kids and young adults, and the faith we lost in our government to make the right decision? So, no, we’re not crazy and we’re not going to fall for abusive tactics again. Now we’re angry. This entry was posted in Blogs by Thinking Moms' Revolution and tagged autism, CDC fraud, CDC Whistleblower, gaslighting, MMR fraud, thinking Moms Revolution, vaccines. Bookmark the permalink. I came across this blog because after almost two and a half years I can finally think straight and googled gas lighting and vaccines. We’re not dealing with autism or the MMR, but what I think is an adverse reaction to the pertussis vaccine. Pertussis toxin is k own to disturb the b-b barrier, and so I wonder when reading this, and thinking about all the moms who watched their kids become autistic post MMR… how many received a dtap the same day? Are our tests for residual pt activity sensitive enough? Are there particularly reactogenic lots that have a high reversion to toxicity rate? These are things that survellisnce would help address. If people would just stop assuming we are crazy. The vaccine industry gaslights us because it is run by Malignant Narcissists. People criticize me for not vaccinating my children but I am too scared to risk it. I the the risk of injury is greater than catching any of those past generation diseases. Both my kids are very healthy and my daughter 5 is off the growth charts and size of a 3rd grader already: both me and wife 6 and 6″4 ft tall so that has all to do with height. Both have missed less than 5 days school ever and seem to never be sick. Why would I risk it? But whenever I bring my child into doctor I have to basically protect them because I am asked each time why no shots on record. I say because there are none and they respond there has to be some. Than they look @ me like I am crazy and want my child to die. Which is the farthest from the truth! Than get horrible service: last time my daughter was sent home and was told she was fine. She told me her ear hurt so I brought her in. So week later after seeing 1 doctor and him telling me no ear infection after I refused shots we left. 2nd doctor says she has horrible ear infection and glad we came in. Was 1st doctor punishing me and my daughter? Or was it a simple mistake? I dunno but after I refused shots after his 5 min pitch on how cdc says it’s safe he seemed bothered looked at her quick thsn left. My daughter got the antibiotic needed at the 2nd doctor appt and is doing fine now but wth why was she treated worse because she don’t get shots? Incredible article, thank you! The only thing I might say is that it might reduce the damage done by waiting until after 36 months to give the MMR, but not eliminate it. We might see more MS and Guillain-Barré syndrome, less autism, if the vaccine were given later, but it’s not as though there were any age at which it becomes safe to give the MMR or any other vaccine. I think they need to stop pushing any recommended vaccine schedule, but give parents a brochure with accurate information and tell them they need to decide which, if any, vaccines they want to give to their children, and leave the decision completely in their hands. Eventually society will have to decide which, if any, vaccines it should even permit to be offered. When my daughter got her 16 month shots, MMR and DTP, she developed a high fever. The pediatrician told me it wasn’t high enough to be alarmed about. She stopped speaking that same day. I knew nothing about Autism, vaccines; Several weeks later, she came home from a nursery school session, completely covered in hives and screaming. I took her to Mount Sinai Hospital in NYC to the allergy department, referred by my new pediatrician. He told me she was supremely allergic to peanuts, they had made sandwiches that day with peanut butter, which she didn’t eat, only touched.He asked if he could send her blood work to the head of Pediatric Immunology at Johns Hopkins. Subsequently, I received a report telling me my child was vaccine injured, warning me to never vaccinate her again. This was 1999. A month later she was diagnosed with PDD/NOS and enrolled in early intervention. There is no history of Autism in my family, so I don’t buy the genetic link in this case. When I questioned the original pediatrician who administered the shots, he admitted he used an old batch but refused to provide the report. Lawyers at that time were dismissive so I had to avenues to pursue, and as we know, when the legal system did acknowledge the possibility of bringing suit, the statute of limitations was so short, those given the old vaccines were already ineligible. That’s an amazing story, Linda. Did you file with the National Vaccine Injury Compensation Program, or were you beyond the three-year statute of limitations by that time? It was too late to file, once the option was offered, the statute ran out. I also think the conversation needs to change; instead of declaring us ignorant and anti vaxxers, how about addressing the safety of the vaccines, the schedule and the combination. No one is adverse to protecting their child, but don’t award monetary compensation and then deny the potential and past harm. Whether the definition or label of Autism is applied in the harm, it is harm nonetheless. EXACTLY! I truly marvel at the people who can dismiss the harm done by saying, “Well, that’s not REAL autism.” NO MATTER WHAT YOU CALL IT, CHILDREN WERE HARMED! Excellent analysis of the truth. Combine the gas-lighting with the constant stress and exhaustion that goes along with parenting a child or multiple children with Vaccine-Induced Neuro-Immune Train-Wreck Syndrome (aka “autism”) and it’s a wonder any of us can formulate a sentence… Or so they think! This blog and this post are stellar examples that those who worship at the alter of the Almighty Vaccine have underestimated the parents of the children they have harmed. Yes. We’re angry. We’re also energized, intelligent, motivated and connected. I’m so sorry to hear that your child was so negatively impacted by the vaccines. Wish I would have known what I know now prior to vac my kids… Let’s keep the info flowing!!! I agree that guy Adam on unworthy should retract his mean and inaccurate post. I Un liked upworthy after that even though I like most of there stuff. His post was like a punch in the stomache and a knife to the heart and exactly what they’re talking about here. AND WONG to boot! Be a man and admit you were wrong and apologiize Adam mordecai. Pardon typos. On someone else’s iPad in the car…. @ Anna. don’t loose heart online. They have a rediculous amount of hired trolls that are being paid to write what they are writing. The average parent out there doesn’t have enough energy to pack their kids lunch, let alone get online in droves advocating for vaccines. They are paid to do what they are doing. If they aren’t directly, then somewhere they are profiting from those shots. Nothing can diminsh the facts. The fact is they lost one of their own this week. Somewhere, in some fancy office, they are scared **less because they KNOW they are slowly loosing the game. 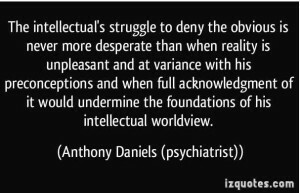 Most people aren’t super smart, maybe they all just know what there docs tell them, but there are some that see that can see that this isn’t going away. It always stays somewhere in the media background. Because the media is in their back pocket, we are never really sure how many can see anything we are saying. It’s important for that little seed of doubt to be planted for anything to change. Most of us (including myself) have been pulled through this so fast that it is hard for us to see why everyone doesn’t get it. They will. I wish faster too. They lost of of the boys this week, and maybe he’ll inspire others! I focus on them in that office wondering where , when, and who will turn their backs on them next. It is vengeful, I know. I kind of like smiling thinking about some pharma exec worried about loosing what he’s got. Doesn’t have the sting of worrying about getting my boys back, but it will have to do. We will all keep it going. you can tell that the vaccine machine is running scared. 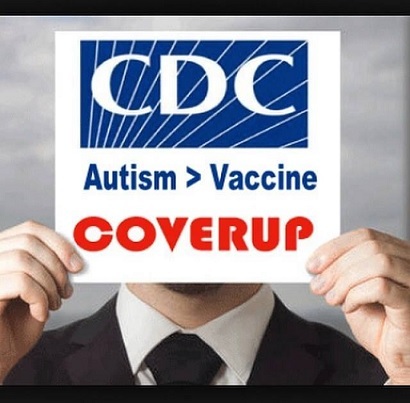 here in ausfalia there has been a public-relations push in the corporate media for increasing the vaccine schedule – and not a single word breathed about the CDC fraud scandal. I’ve experienced these exact same sort of comments and excuses by pro vaccine people. Its awful, they are saying such horrible stuff!! Saying we are ‘getting desperate’ WTF? The links underneath this info graphic are SO poor referenced, linked to sites with NO references and the sites look so dodgy yet he tells me a team of experts helped to make that info graphic?? What happened after that was very frustrating, just like what you mentioned above. At first he kept saying oh I wont listen to a word Andrew Wakefield says, then after I say, but no look at this and that, then he says he will send the links I sent him to his ‘team of scientists’ of which I replied, oh sure, just make sure you choose ones that aren’t funded by vaccine makers! I told him that Adam is responsible for harming MANY children by putting this false information out. Then I kept saying after he kept going on about ‘fraud’ this is not about Andrew wakefields info coming out on his own, this is about a CDC worker who has come forward to say that he AND his co workers knew they were covering up stuff! Then Adam replies, oh well I need third party proof to consider this??!! I have sent him loads of other studies and images of the actual study that William Thompson wrote with other people which had the fact that only kids up to 7 months of age were included in the study!! Way before the age where toxins are heavily injected into the child i.e. PRE MMR!!! Its madness, its so obvious when you look into the CDC studies (not to mention Thorson the FBI wanted criminal!! ), yet these people are so brainwashed, and is Adam paid to do this? I am even thinking was Upworthy a site that was put together in a way where they knew it would do well, using heart rendering cute stories to get loads of readers, then WHAM lets put in a unusually off the topic VACCINE info graphic to really get out disinformation to the masses! the powers that be, plan stuff years before things happen. Everyone you gotta keep fighting!!! keep it going! !